Home » Bankruptcy » Can You Finance Large Purchases After Bankruptcy? There are many reasons that people who could benefit from filing for bankruptcy don’t. 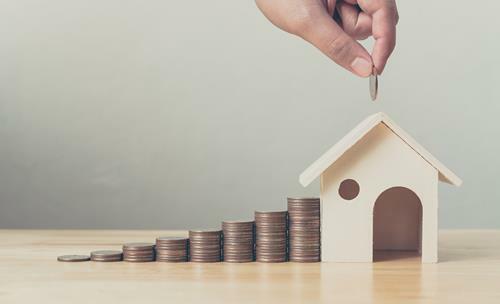 One of the most common is the misconception that once you file for bankruptcy, it is nearly impossible to finance a house, car, or other large purchase for a significant period of time. While it is true that bankruptcy will stay on your credit report for seven to ten years, it is categorically not the case that a bankruptcy in your past will keep you from financing large purchases. The information below explains how and why people with a bankruptcy in their past can obtain financing. For more information or to discuss your case, call the Law Office of Kenneth P. Carp today to schedule a free consultation with a St. Louis and St. Charles bankruptcy attorney. To understand why this is, it’s helpful to understand what bankruptcy can accomplish. Chapter 7 bankruptcy, the most commonly filed type of consumer bankruptcy, can have the effect of wiping out all of a person’s debts, in many cases. This means that many people emerge from Chapter 7 completely debt-free, and lenders are well aware of that. So while people who have filed for bankruptcy certainly do have a negative mark on their credit reports, lenders often are willing to extend them credit, albeit at a higher interest rate. In addition, it usually takes a year or two to obtain financing, but during this time, consumers can rebuild their credit history by taking out a secured credit card and monitoring their credit score. But Wait… Won’t I Lose Everything if I File for Bankruptcy? No. The misconception that you will lose everything if you file for bankruptcy is another reason that people who should file choose not to. Chapter 7 is known as a liquidation bankruptcy because it involves selling off a debt’s non-exempt assets in order to pay creditors back. This step must occur before the court grants a discharge. Fortunately for consumers, a plethora of exemptions are available. These include exemptions for a certain amount of the equity in your home, a vehicle up to a certain value, work tools, personal property, furniture, and more. In addition, while every case is unique, it’s heartening to know that most Chapter 7 bankruptcies are “zero-asset” bankruptcies, which means that the people filing have no non-exempt assets. As a result, most people who file for bankruptcy obtain the discharge of their debts without having to give up any of their assets. Don’t let unfounded fears keep you from taking a step towards a fresh financial start. 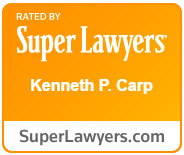 At the Law Offices of Kenneth P. Carp, we will review your financial situation at no cost to you and let you know whether we think bankruptcy is right for you. To schedule a free consultation with Mr. Carp, call our office today at 636-947-3600 or send us an email through our online contact form. When Can I Sue My Doctor For Malpractice?